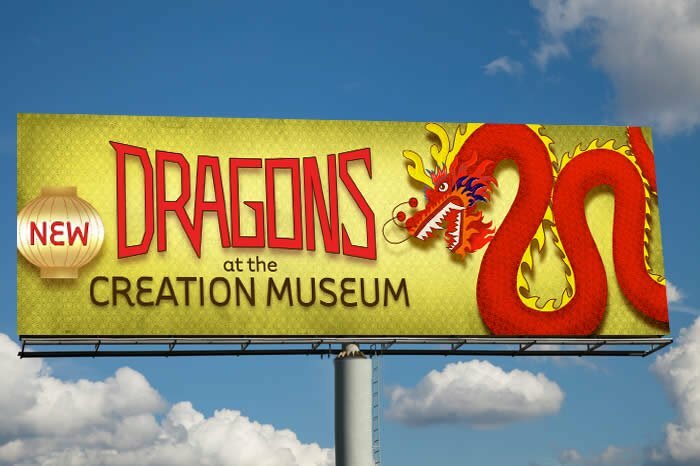 This remarkable dragon exhibit is colorful and highly impactful, and it will open Memorial Day weekend, in just under two weeks. 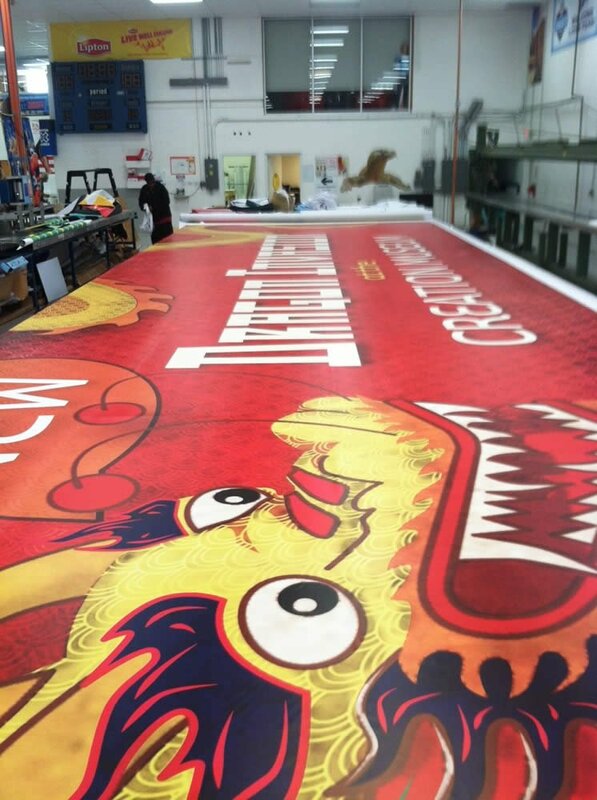 We expect the launch of these dragon billboards today, with over 50–60 boards. 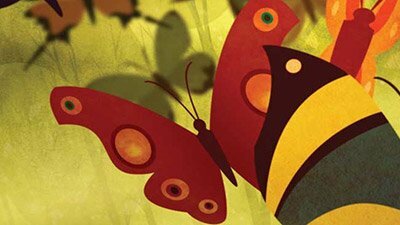 In June, we will put up 50–60 different boards that will advertise the new world-class insect exhibit, which also opens at the Creation Museum on Memorial Day. In August, we will post 50–60 different billboards that will advertise the biggest and best zip lines in the Midwest. The zip lines will open at the Creation Museum on June 20. There will be 20 zip lines and 10 bridges. They are still under construction and will be completed by June 20. The boards are called “A” boards, meaning they’re highly viewed and on major arteries leading in and out of a market (e.g., Interstates 71, 75, and 275 around Cincinnati and a similar type of placement for the other cities). 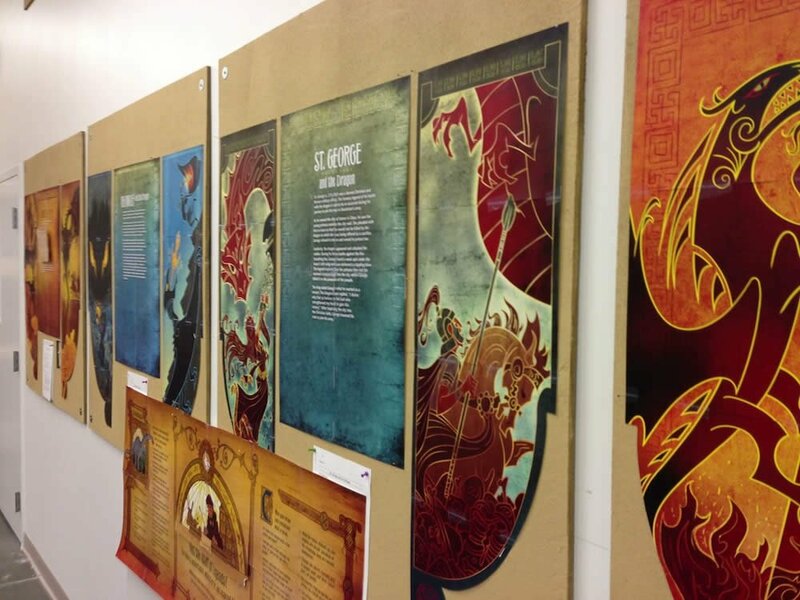 In addition to the dramatic vinyl boards, and even some 3D build-outs (these boards will be spectacular with lanterns lit), a collection of the boards will be vibrant, colorful digital versions. 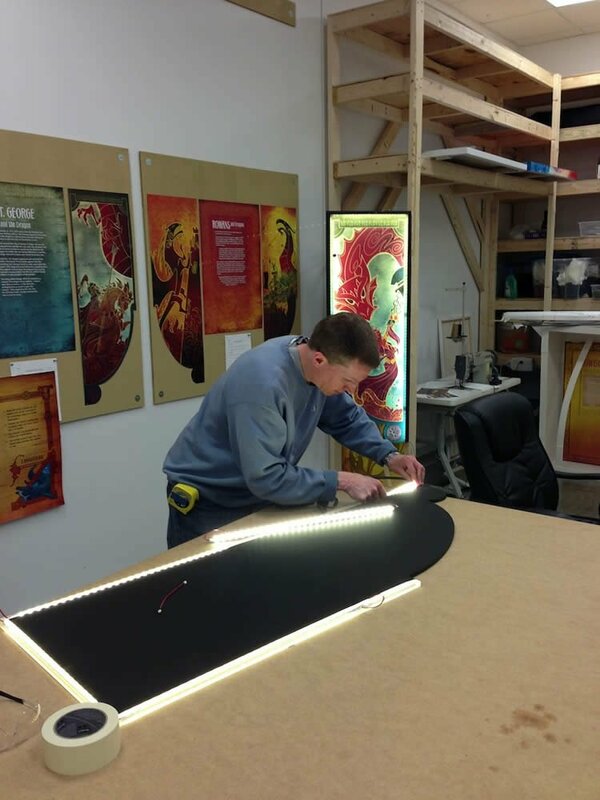 Here is a photo of a vinyl billboard as it was being produced. We’re gearing up for another amazing summer at the Creation Museum! Just in time for Memorial Day weekend, we’re introducing these new and exciting family adventures. 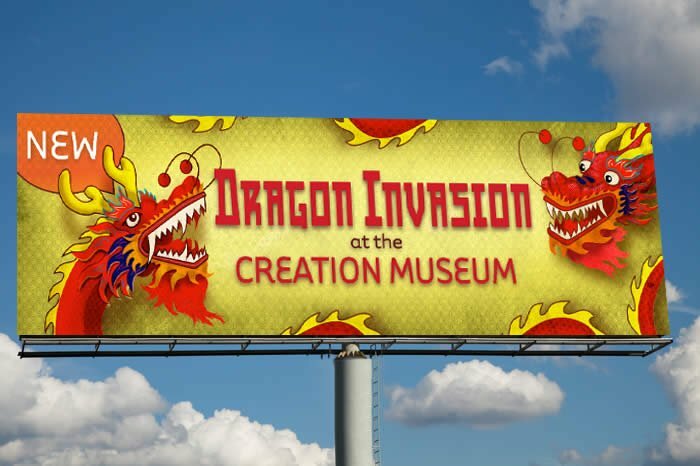 Between the huge 48-foot “Dragon Invasion” billboards, the beautiful bug billboards that will follow, and then the striking zip line billboards, millions of drivers will know that there are many new things to experience and explore with their families at the Creation Museum. 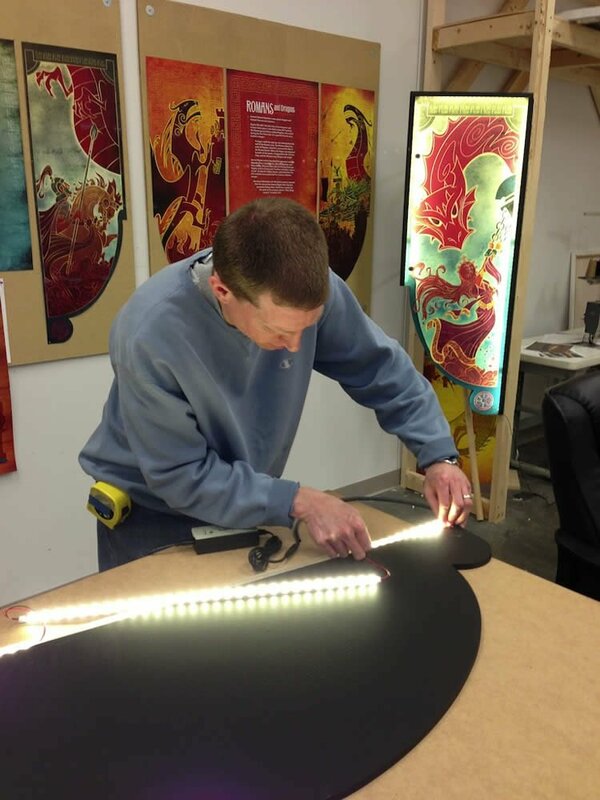 One of the dragon boards, which will be placed right at the gate of the Indy 500 race in Indianapolis, will have a 3D build-out of a dragon head and body—along with 3D lanterns that light up and glow at night. This board will be spectacular and eye-catching both day and night. In a few weeks, the bug billboards will have some shimmery special effects, with new vinyl techniques that will highlight the beautiful bug shells and their “iridescent quality.” Later in the summer, the boards advertising the new zip lines will be fun and have some impressive build-out elements as well. We believe the zip lines will be key in also getting people to visit the Creation Museum—the zip line course begins very near the entrance to the museum. 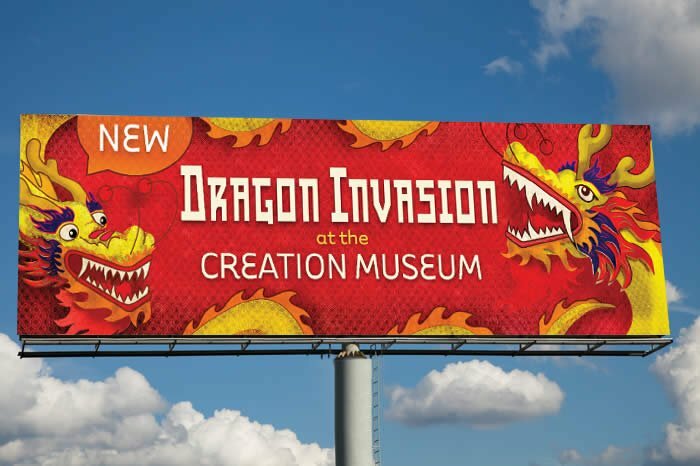 Because each billboard will highlight coming new attractions, it will help generate lots of excitement around the adventures to be found this summer at the museum. By the way, these billboards come on the heels of last year’s dinosaur billboard sensation—the boards were nominated nationally for an OBIE award against some tough competition like Coke, Sprite, and Target, to name a few. 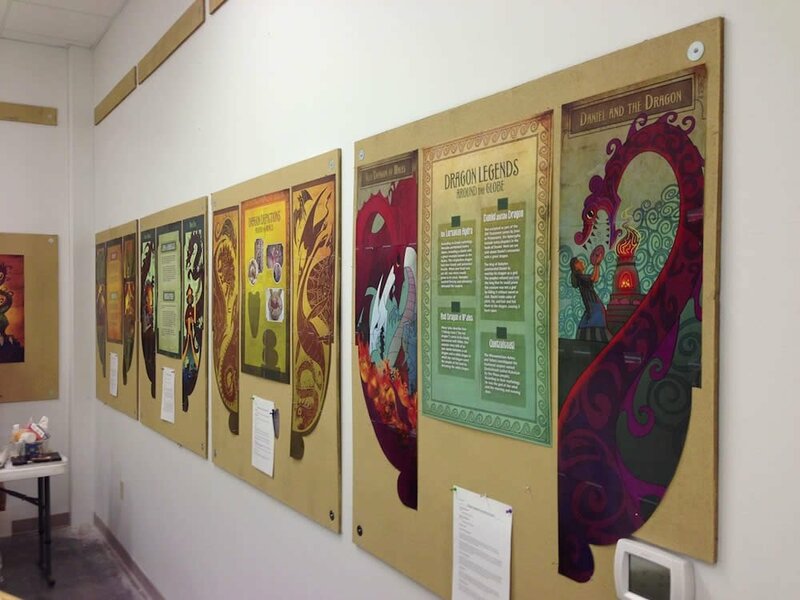 Our extremely talented artist Jon Taylor produced the colorful and eye-catching exhibit artwork. 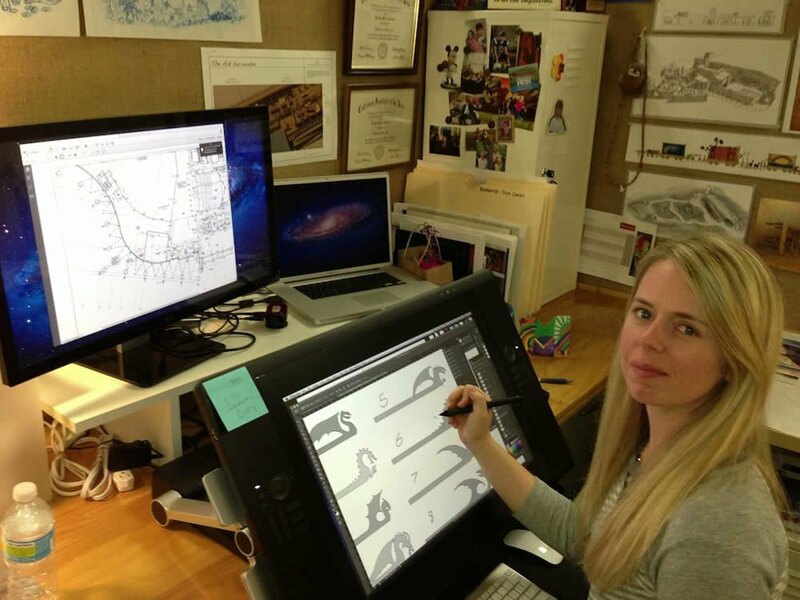 Creative set designer Kristin Andersen was involved in laying out the exhibit that will fill the large portico of the Creation Museum. 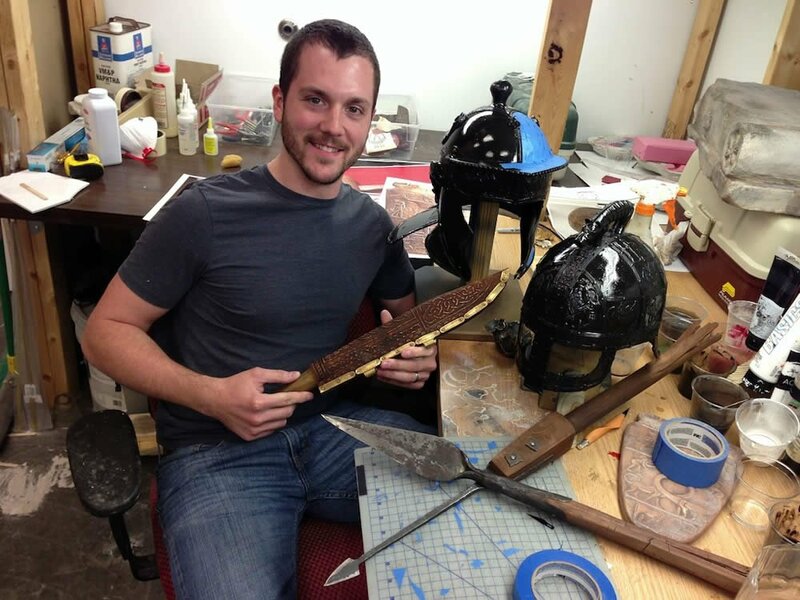 Sculptor Travis Wilson used his God-given talents to hand make a number of artifacts for some of the displays. 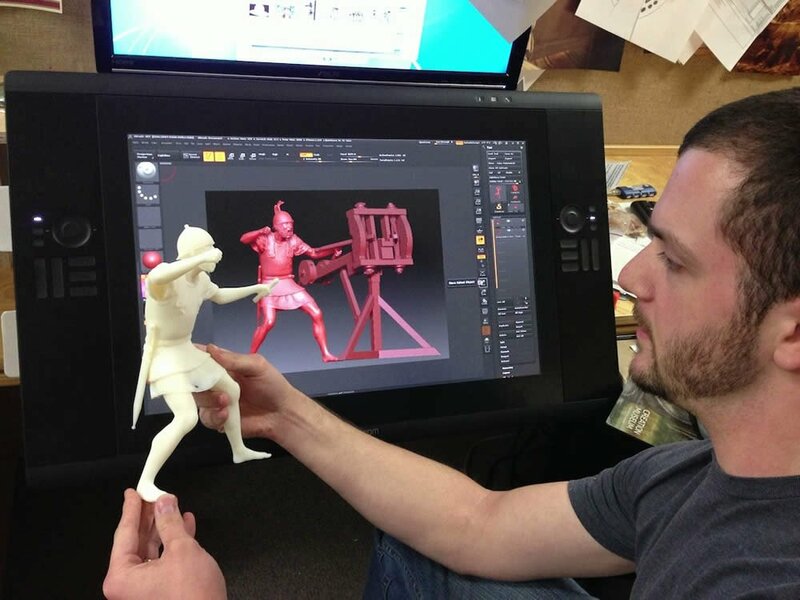 Travis also “sculpted” a Roman soldier on the computer and had it printed out on a 3D printer. 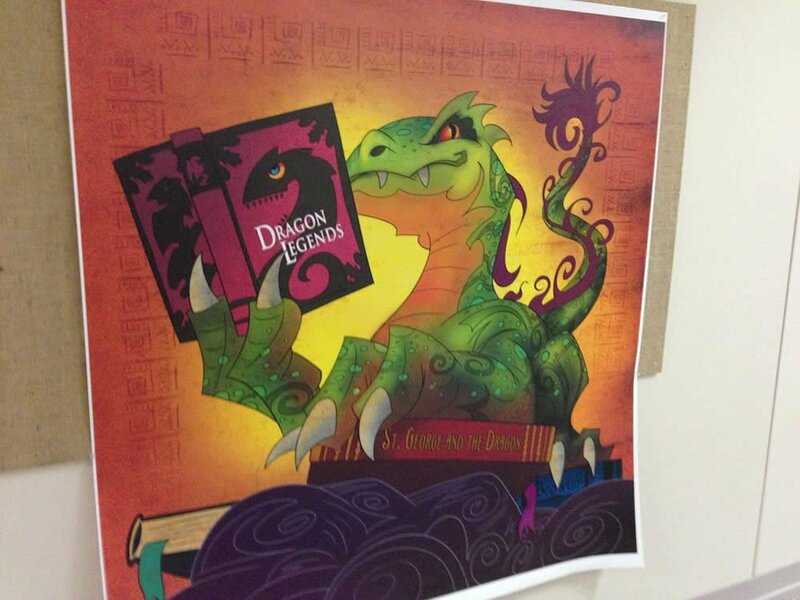 Patrick Marsh, AiG’s design director for special projects, directed the design of this world-class dragon exhibit. 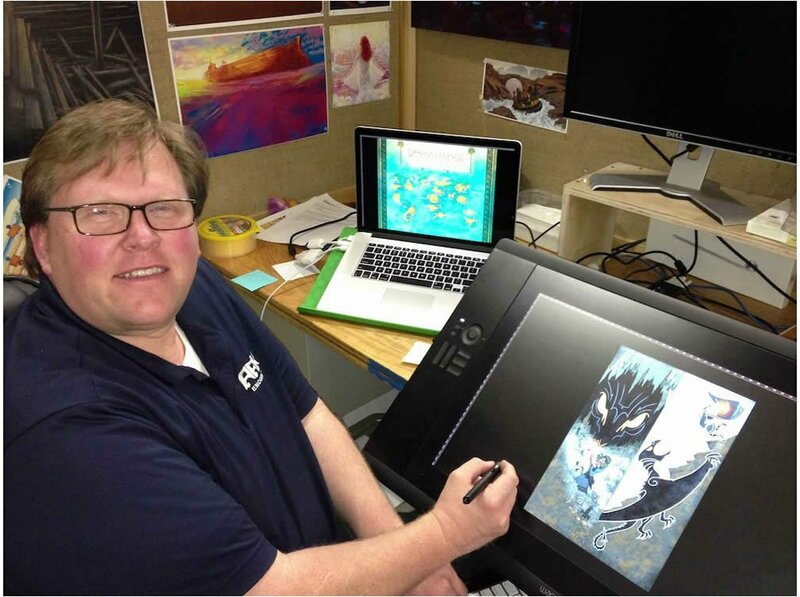 Patrick is also heading up the exhibit design and other aspects of our Ark Encounter project and was in charge of the design of the Creation Museum exhibits. 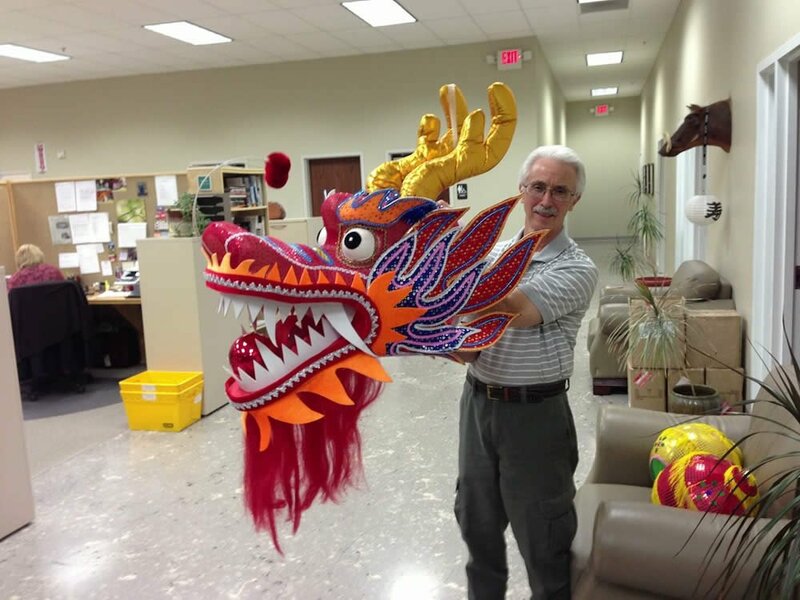 Here is Patrick holding the head of one of two dragons—both dragons will be 65-feet long and will be hung from the ceiling of the large Creation Museum portico. Many other AiG staff were involved in putting this exhibit together. They begin installing it during the evenings starting tomorrow to be ready for Memorial Day weekend. 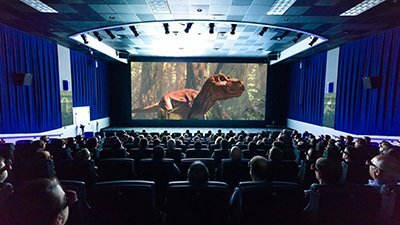 Indications are that this summer will be a very busy one at the Creation Museum. The world-class, high-tech insect exhibit, Dr. Crawley's Insectorium, will open on Memorial Day weekend. The incredible dragon exhibit throughout the portico of the Museum will also open on Memorial Day weekend. The addition of a kentrosaurus dinosaur model (sculpted by Buddy Davis) to the Dino Den will be released on Memorial Day weekend. The new comet program for the planetarium will open on July 1. The biggest and best zip line course in the Midwest will be completed by June 15. 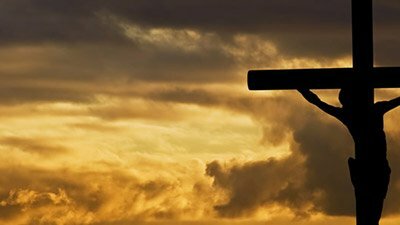 New Bible manuscripts and Bible-related artifacts will be placed in the Verbum Domini exhibit (an exhibit provided by the Green family of Hobby Lobby) by Memorial Day weekend. All I can say is wow! These additions will be a phenomenal enhancement to the already outstanding Creation Museum exhibits and attractions. Make sure you plan a visit.